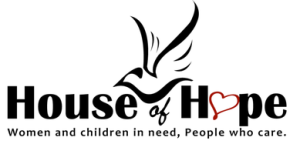 The House of Hope is a “long term residential home for women with drug and alcohol addiction and abuse.” Check them out and see for yourself! What a great cause! The ALCOG food pantry exists to serve our community members just as we are served…the daily bread we hear and see is just as important as the daily bread we eat. No man should go without either. Our pantry is open to the community from 10am until 1pm on the 1st and 3rd Tuesday of each month. Today’s Habitat for Humanity, and it’s idea of affordable housing for all, was spawned from a 42-acre farm-plot outside of Americas, GA, where an inter-racial Christian group had established a community. Turned into Habitat International by Millard and lInda Fuller in 1976, and later championed by former President Jimmy Carter in 1984, Habitat has grown into a worldwide organization promoting these same values…the benefits of hard work, the value of a Christ-driven life, and the pride of home ownership. Abundant Life is proud to support Habitat each year with both our money and our muscles. Options Now, an abortion options clinic, offers advice, guidance, instruction, care, and God’s love to women who are often confused about “what’s next.” They are true believers in the idea that every life is valuable. Abundant Life gladly supports their program and cause.